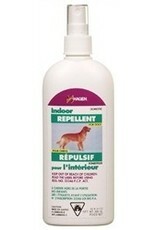 Dog & cat Dog indoor Repellent 300ml-V - Rick's Pet Stores Inc.
Use Hagen Non-Aerosol Dog Indoor Repellent to protect your furniture, carpets, plants, etc. from unwanted gnawing or clawing. 300ml (10oz).